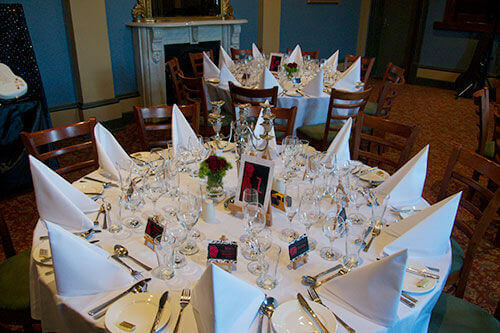 The American offers as standard all of the above for seated weddings of 40 or more guests. Maximum capacity for seated wedding - 60 guests. Including bridal table. Cocktail wedding up to 100 guests.